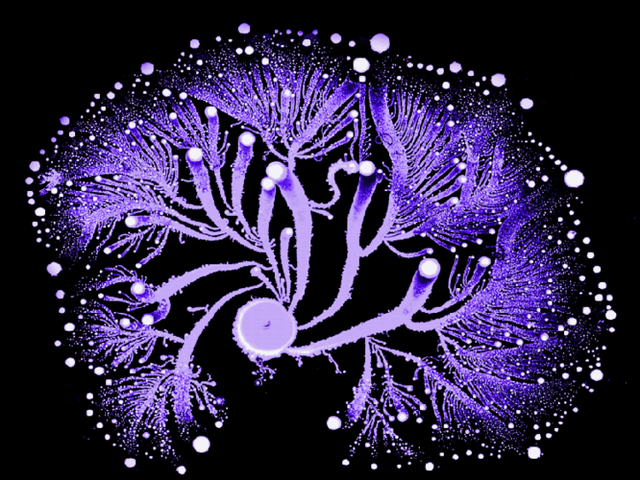 Tel Aviv University physics professor Eshel Ben-Jacob creates psychedelic works of art by dying colonies of adaptive bacteria and photographing them. 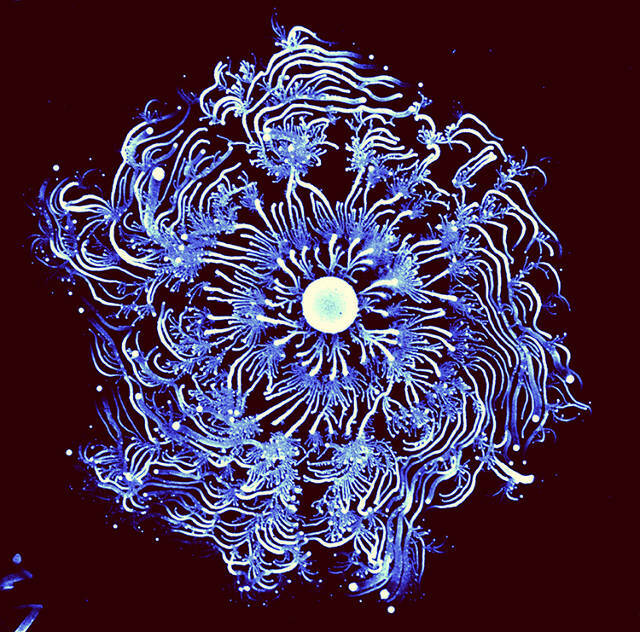 “Science and art both present to the world a model of nature, but when I study bacteria as a scientist, all my experiments must be reproducible,” Ben-Jacob explains in an interview with Fast Co. Design. 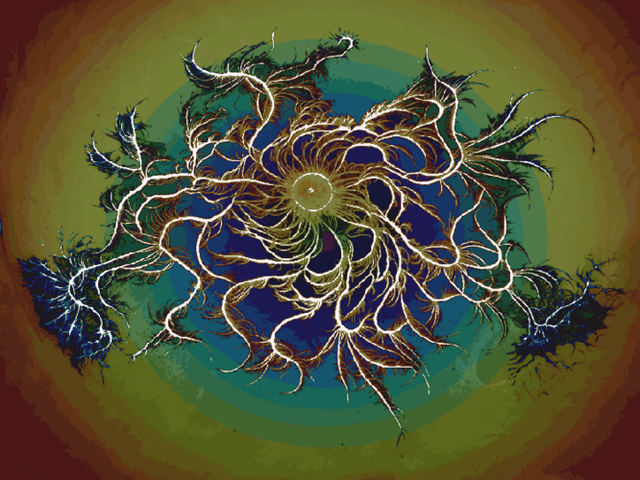 “When I do it as art, I have the freedom to come up with all kinds of conditions without having to worry about another scientist needing to verify my work. 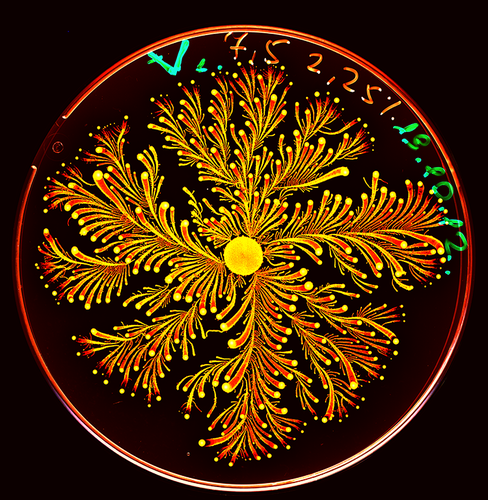 But the art can help inspire the science, and vice versa.” More of the colorful, trippy bacteria art can be viewed at Fast Co. Design and Ben-Jacob’s website.